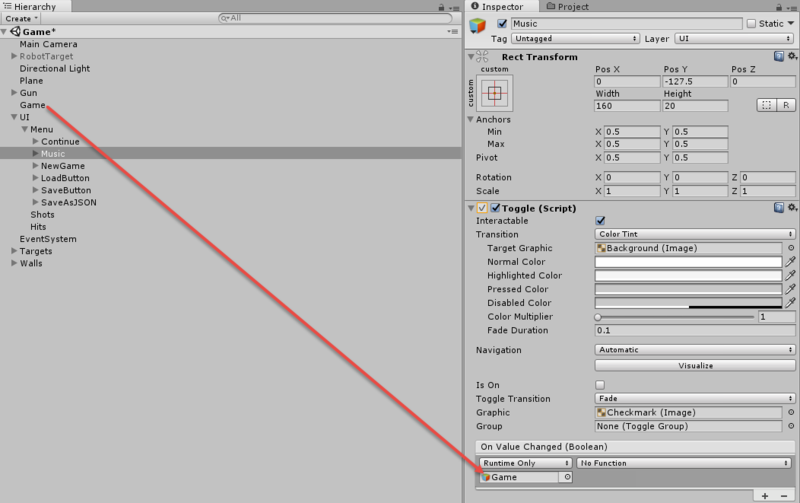 Learn how to save and load a game in Unity using PlayerPrefs, Serialization and JSON. Complete your user’s experience by allowing them to save their game. Games are getting longer and longer, with some having over 100 hours of content. It would be impossible to expect players be able to complete all of what a game has to offer in just one sitting. That’s why letting the player save their game is one of the most essential features your game should have — even if it’s just to keep track of their high scores. But how does one create a save file and what should be in it? Do you need to use a save file to keep track of player settings too? What about submitting saves to the web so they can be downloaded later on a different device? What serialization and deserialization are. What PlayerPrefs is and how to use it to save player settings. How to create a save game file and save it to disk. How to load a save game file. What JSON is and how you would use it. It is assumed that you have some basic working knowledge of how Unity works (such as being able to create and open scripts), but other than that everything has been prepared so this tutorial will be very easy to follow. Even if you are new to C#, you should have no trouble keeping up except for a few concepts that might require further reading. Note: If you are new to Unity or looking to pick up more Unity skills, you should checkout out our other Unity tutorials where you can learn about lots of Unity topics from C# to how the UI works. Download the starter project here. 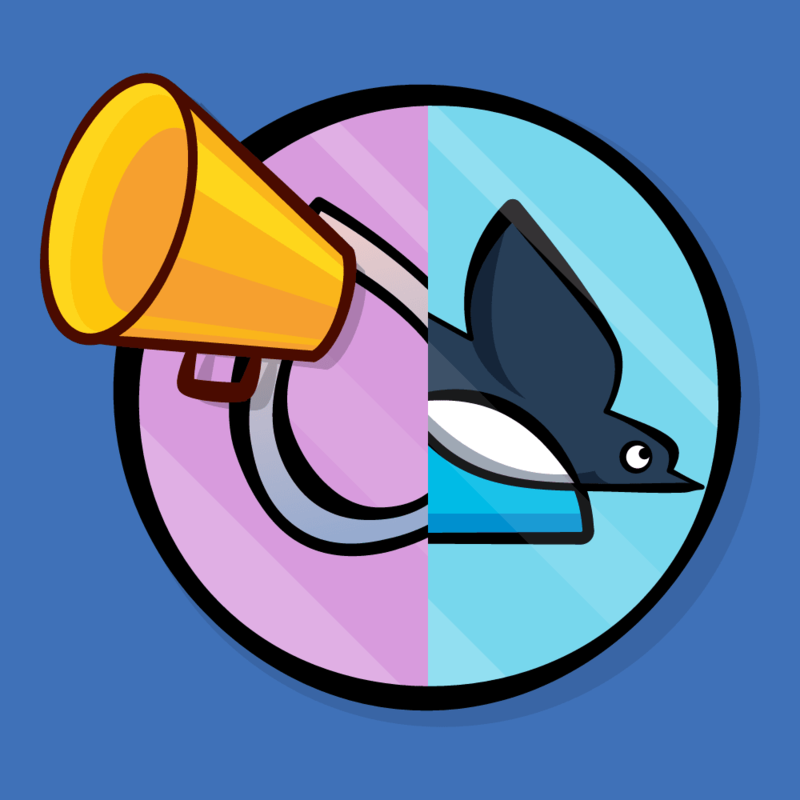 You will be implementing the code for saving and loading the game, as well as the logic for saving the players settings. PlayerPrefs: This is a special caching system to keep track of simple settings for the player between game sessions. Many new programmers make the mistake of thinking they can use this as a save game system as well, but it is bad practice to do so. This should only be used for keeping track of simple things like graphics, sound settings, login info, or other basic user-related data. What is an “object”? 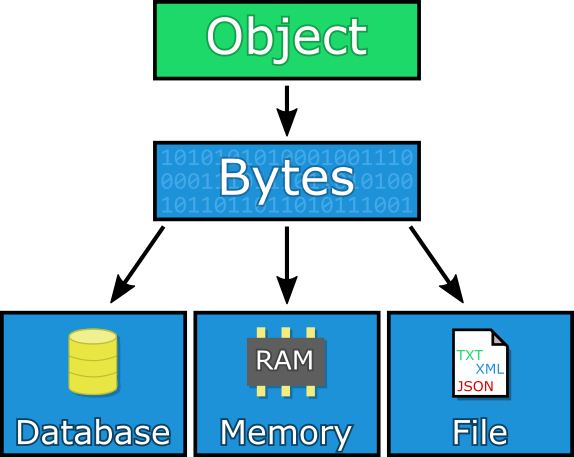 In this case an “object” is any script or file in Unity. In fact, whenever you create a MonoBehaviour script, Unity uses serialization & deserialization to convert that file down to C++ code and then back to the C# code that you see in the inspector window. If you’ve ever added [SerializeField] to get something to appear in the inspector, you now have an idea of what’s going on. Note: If you’re a Java or web developer, you might be familiar with a concept known as marshalling. Serialization and marshalling are loosely synonymous, but in case you’re wondering what a strict difference would be, serialization is about converting an object from one form to another (e.g. an object into bytes), whereas marshalling is about getting parameters from one place to another. Deserialization: This is exactly what it sounds like. It’s the opposite of serialization, namely the conversion of a stream of bytes into an object. This project has been set up so that all you will focus on is the logic for saving and loading games. However, if you are curious how it all works, don’t be afraid to open all the scripts and see whats going on, and feel free to ask a question here or in the forums if you need help. Open the project, then open the Scene named Game and then click play. To start a game, click the New Game button. To play the game, you simply move your mouse, and the gun will follow your movement. Click the left mouse button to fire a bullet and hit the targets (which flip up and down at various time intervals) to get points. Try it out and see how high a score you can get in 30 seconds. To bring up the menu at any time, press the escape key. As fun as that game was, it might have been a little dry without music. You may have noticed that there is a music toggle, but it was switched off. Click play to start a new game, but this time click the Music toggle so it’s set to “On”, and you will hear music when you start your game. Make sure your speakers are on! Changing the music setting was simple, but click the play button again and you’ll notice a problem: the music is no longer checked. While you did change the music setting earlier, there was nothing keeping track of that change. This is the kind of thing that PlayerPrefs excels at. These will keep track of the Toggle and AudioSource objects. Check if the PlayerPrefs has a cached setting for the “music” key. If there is no value there, it creates a key-value pair for the music key with a value of 1. It also sets the toggle to on and enables the AudioSource. This will be run the first time the player runs the game. The value of 1 is used because you cannot store a Boolean (but you can use 0 as false and 1 as true). This checks the “music” key saved in the PlayerPrefs. If the value is set to 1, the player had music on, so it enables the music and sets the toggle to on. 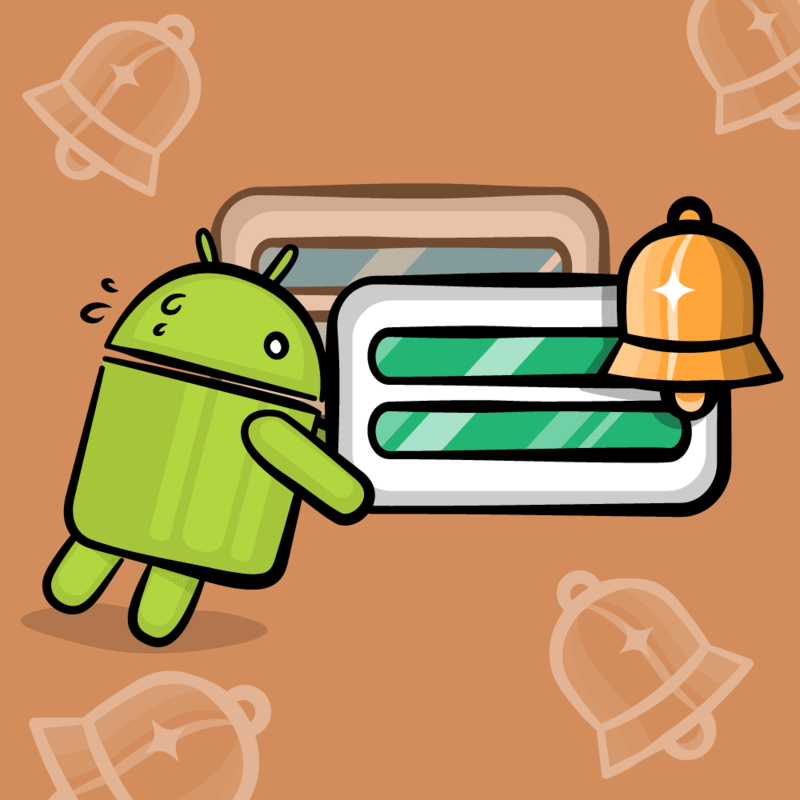 Otherwise, it sets the music to off and disables the toggle. Now Save the changes to your script and return to Unity. Add the PlayerSettings script to the Game GameObject. Then expand the UI GameObject, followed by the Menu GameObject to reveal its children. 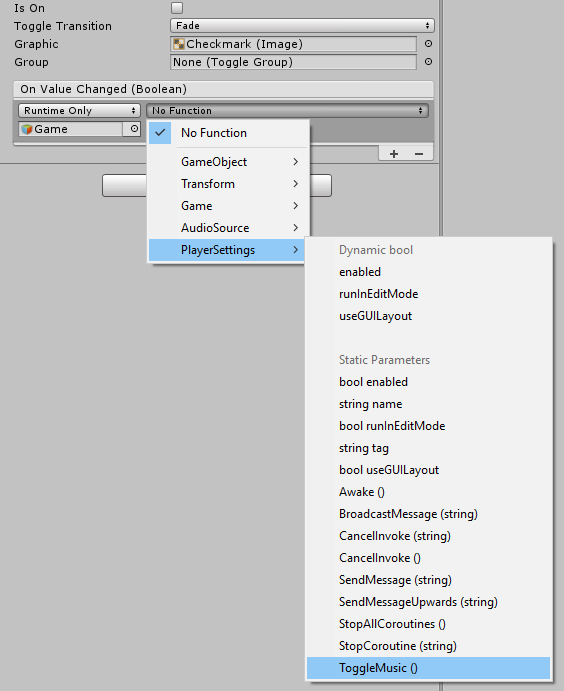 Then drag the Music GameObject on to the Toggle field of the PlayerSettings script. Next, select the Game GameObject and drag the AudioSource over to the MyAudio field. Select the dropdown which currently says No Function, and select PlayerSettings -> ToggleMusic(). When the toggle button in the menu is pressed, it will call the ToggleMusic function. Now you’ve got things set up to keep track of the music setting. Click Play and try it out by setting the music toggle to on or off, then ending the play session and starting a new play session. The music setting is now properly saved! Great job — but you’re only getting started with the power of serialization. Using PlayerPrefs was pretty simple wasn’t it? With it, you will be able to easily store other settings in there such as the player’s graphic settings, or login info (perhaps Facebook or Twitter tokens), and whatever other configuration settings make sense to keep track of for the player. However, PlayerPrefs is not designed to keep track of game saves. For that, you will want to use serialization. The first step to creating a save game file is creating the save file class. Create a script named Save and remove the MonoBehaviour inheritance. Remove the default Start() and Update() methods as well. In order to save the game you will need to keep track of where existing robots are and what types they are. The two lists accomplish this. For the number of hits and shots you are just going to store those as ints. This is known as an attribute and it is metadata for your code. 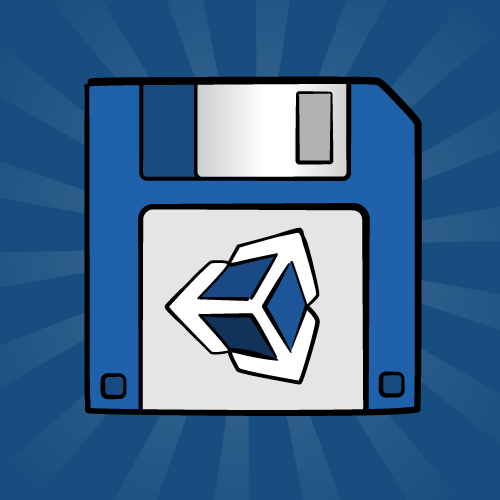 This tells Unity that this class can be serialized, which means you can turn it into a stream of bytes and save it to a file on disk. 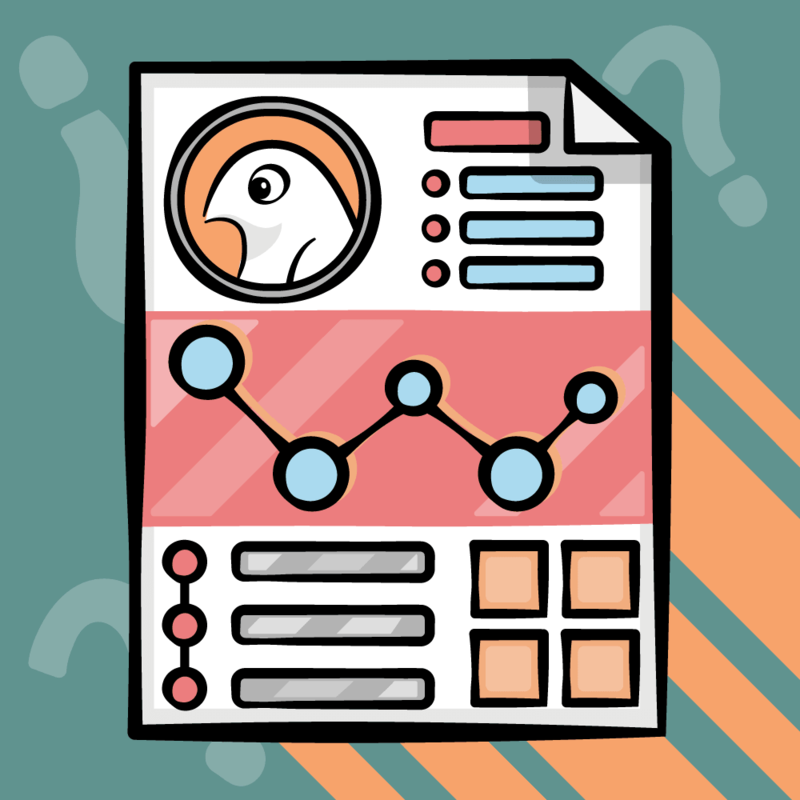 Note: Attributes have a wide range of uses and let you attach data to a class, method, or variable (this data is known as metadata). You can even define your own attributes to use in your code. Serialization makes use of the [SerializeField] and [System.Serializable] attributes so that it knows what to write when serializing the object. Other uses for attributes include settings for unit tests and dependency injection, which are way beyond the scope of this tutorial but well worth investigating. This code creates an instance of the Save class you made earlier and then sets the values from the existing robots. It also saves the players shots and hits. Create a Save instance with all the data for the current session saved into it. Create a BinaryFormatter and a FileStream by passing a path for the Save instance to be saved to. It serializes the data (into bytes) and writes it to disk and closes the FileStream. There will now be a file named gamesave.save on your computer. The .save was just used as an example, and you could use any extension for the file save name. This just resets the game so that after the player saves, everything is in a default state. To save the game, press Escape at any time during play and click the Save button. You should notice everything resets and the console output displays a note that the game has been saved. Checks to see that the save file exists. If it does, it clears the robots and the score. Otherwise it logs to the console that there is no saved game. Similar to what you did when saving the game, you again create a BinaryFormatter, only this time you are providing it with a stream of bytes to read instead of write. So you simply pass it the path to the save file. It creates the Save object and closes the FileStream. Even though you have the save information, you still need to convert that into the game state. This code loops through the saved robot positions (for living robots) and adds a robot at that position. It also sets it to the right type. For simplicity, the timers are reset, but you can remove this if you prefer. This prevents the robots from disappearing right away and gives the player a few seconds to get oriented in the world. Also, for simplicity, the animation of the robot moving up is set to finished, which is why robots partly moving up when you saved will be shown as fully up when a game is loaded. This updates the UI to have the right hits and shots set, and it sets the local variables so that when the player fires or hits a target it continues to count up on the value that was previously. If you didn’t do this step, the next time the player fires or hits a target the displayed values would get set to 1. Click Play, play the game for a bit then save. Click the Load button and you will see it load the enemies as they were set up before when you saved the game. It also properly sets your score and the shots you’ve fired. There’s one more trick you can use when you want to save data — and that is JSON. You could create a local JSON representation of your game save, send it to a server, then get that JSON (as a String) to another device and convert it from a string back to JSON. This tutorial won’t cover sending/receiving from the web, but it is very helpful to know how to use JSON — and it’s incredibly simple. The outer brackets represent the parent entity that is the JSON. If you are familiar with a Dictionary data structure, then JSON is similar. A JSON file is a mapping of key and value pairs. So the above example has 3 key-value pairs. With JSON, the keys are always strings, but the values can be objects (i.e. children JSON objects), arrays, numbers, or strings. The value set to the “message” key is “hi”, the value of the “age” key is the number 22, and the value of the “items” key is an array with two strings in it. The JSON object itself is represented by a String type. By passing this data as a String, any language can easily re-create JSON object from the string as a constructor argument. Very convenient and very simple. Each language has its own way of creating an object from this format. Since Unity 5.3, there exists a native method to create a JSON object from a JSON string. You will create a JSON representation of the high score of the player and then print it to the console. But you extend this logic by sending the JSON to a server. This creates the Save instance like you did earlier. Then it creates a JSON string using the ToJSON method on the JsonUtility class. It then prints the output to console. That is what you would do if you wanted to download a save file from the web and then load it into your game. But setting up a web server is a whole other process! For now, pat yourself on the back because you just learned a few techniques that will… save you some trouble in your next game (groan)! You can download the final project files here. You’ve now gained a powerful tool for creating great games by enabling your players to save and load their game through the magic of serialization. You’ve also learned what JSON is and how you could use it to implement cloud saving. You’ve also learned what PlayerPrefs is used for (settings! ), and what it’s not used for (saving the game). If you’re looking to get more rounded in Unity, we have a whole section of Unity tutorials over here, and you’re welcome to join us on the Unity forums. You can always leave a comment here if you have anything you’d like to say. If you are a die-hard Unity fan and want to become a full fledged developer, then check out our book Unity Games by Tutorials where you will make 4 complete games from scratch. One of the chapters even goes over how to use JSON as a level loader! If you have any questions or comments on this tutorial, please join the discussion below!